Ayrton Senna (born in São Paulo, Brazil, died in Bologna, Italy) was a famous Celebrity from Brazil, who lived between March 21, 1960 and May 1, 1994. He became only 34 years old. Ayrton Senna da Silva was a Brazilian racing driver who drove through 11 seasons in Formula 1, where he managed to win three world championships in 1988, 1990 and 1991. His great rival was Frenchman Alain Prost. 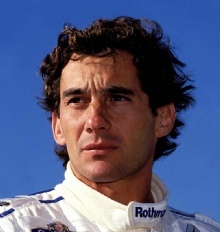 The first May 1994 Senna was killed when he crashed during the San Marino Grand Prix at the Imola circuit. Senna, at its 11 Formula 1-seasons running 162 Grand Prix and win no less than 41 victories. He gained further 39 secondary podiums, and started 65 times a race from Pole Position. His achievements earned him three world championships. The first May 1994, the day after Austrian Roland Ratzenberger had been killed on the same track, Senna was killed in an accident during the San Marino Grand Prix. With 216 km per hour, he hit the barrier in the Tamburello bend. His death caused national mourning in Brazil, where he was a folk hero. He is born under the zodiac aries, who is known for Active, Demanding, Determined, Effective, Ambitious. 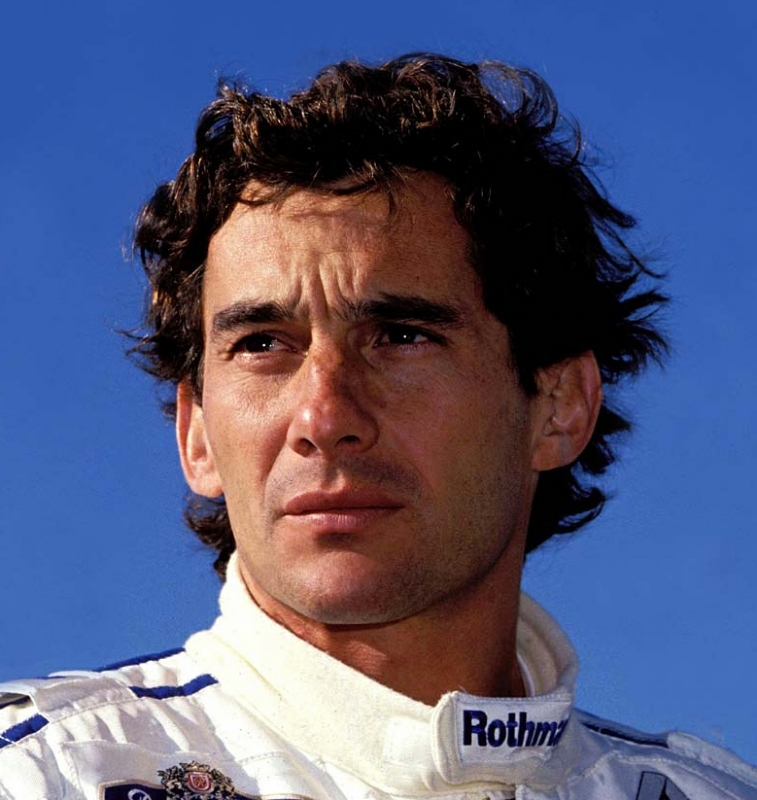 Our collection contains 27 quotes who is written / told by Ayrton. "There are no small accidents on this circuit"
"Then suddenly something just kicked me. I kind of woke up and realised that I was in a different atmosphere than you normally are. My immediate reaction was to back off, slow down"
"The danger sensation is exciting. The challenge is to find new dangers"
"Racing, competing, it's in my blood. It's part of me, it's part of my life; I have been doing it all my life and it stands out above everything else"
"On a given day, a given circumstance, you think you have a limit"
"Of course there are moments that you wonder how long you should be doing it because there are other aspects which are not nice, of this lifestyle. But I just love winning"
"My biggest error? Something that is to happen yet"
"Money is a strange business. People who haven't got it aim it strongly. People who have are full of troubles"
"It's going to be a season with lots of accidents, and I'll risk saying that we'll be lucky if something really serious doesn't happen"
"It was like I was in a tunnel. Not only the tunnel under the hotel but the whole circuit was a tunnel. I was just going and going, more and more and more and more. I was way over the limit but still able to find even more"
"If you have God on your side, everything becomes clear"
"I was already on pole, then by half a second and then one second and I just kept going. Suddenly I was nearly two seconds faster than anybody else, including my team mate with the same car"
"I have no idols. I admire work, dedication and competence"
"I don't know driving in another way which isn't risky. Each one has to improve himself. Each driver has its limit. My limit is a little bit further than other's"
"I continuously go further and further learning about my own limitations, my body limitation, psychological limitations. It's a way of life for me"
"Fear is exciting for me"
"Being second is to be the first of the ones who lose"
"And suddenly I realised that I was no longer driving the car consciously. I was driving it by a kind of instinct, only I was in a different dimension"
"And so you touch this limit, something happens and you suddenly can go a little bit further. With your mind power, your determination, your instinct, and the experience as well, you can fly very high"
"You will never know the feeling of a driver when winning a race. The helmet hides feelings that cannot be understood"
"You must take the compromise to win, or else nothing. That means: you race or you do not"
"Women - always in trouble with them, but can't live without them"
"When you are fitted in a racing car and you race to win, second or third place is not enough"
"Wealthy men can't live in an island that is encircled by poverty. We all breathe the same air. We must give a chance to everyone, at least a basic chance"
"These things bring you to reality as to how fragile you are; at the same moment you are doing something that nobody else is able to do. The same moment that you are seen as the best, the fastest and somebody that cannot be touched, you are enormously fragile"